It goes by fast is what most parents with older children will say when they find out we have younger children and theirs are in college. They are right. In less than a week our middle child is turning ten this month and it just doesn't seem possible. I still remember the first time she grabbed her first cupcake and shoved it into her mouth. I remember all the birthdays she refused to put the birthday girl hat on so I could snap a picture. As she has grown, her likes and dislikes have become more apparent. It's amazing how kids become their own person and their interests develop which make them individuals. Along the way, Netflix kept up with her constant flux of interests providing age appropriate shows for her based on age and interests. While she has grown up with shows like Sarah and Duck, Bubble Guppies, Poppy Cat, and others as she has become older her tastes have also changed. Now, she is loving shows like Bunk'd and Jessie and to be honest, it makes me a little sad that she doesn't laugh at the episode where Sarah and Duck discover that shallots can draw awesome pictures. 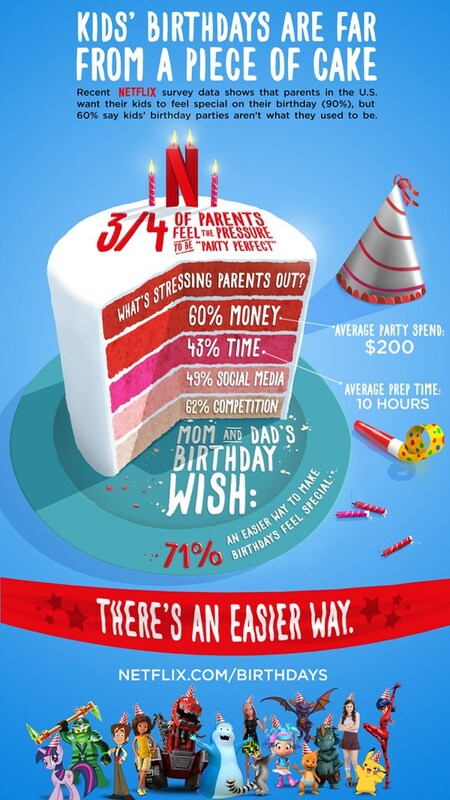 But planning a birthday party is a LOT of work and 71% of parents wish there was an easier way to get it all done. This month, Netflix is making it easy for parents to celebrate birthdays by providing on-demand Happy Birthday to You greetings from your kid's favorite shows. Where else can you find a video of the guys from LEGO Ninjago, Barbie, and DinoTrux singing Happy Birthday to your kid? For the last nine years, we have had birthday parties at home. She has picked the theme and I have come up with the games while my wife organizes all the details. In the past we've had a Little House on the Prairie birthday complete with apple bobbing and potato sack races, an art themed birthday party where we've made tie-dye shirts, and even a My Little Pony birthday with pin the tail on Rainbow Dash. My daughter will be having a pink party this year with a ten girl sleepover. Pray for me because my wife is conveniently leaving at various points during the night! What I know is that using Netflix for entertainment takes some pressure off of us. 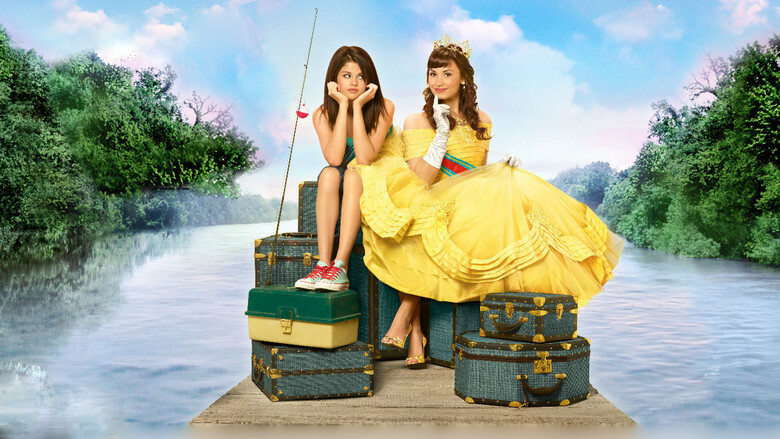 The best part is that we can find a great movie like Princess Protection Program, set up our make your own cake bar with plenty of topping and we have an instant birthday celebration to remember! If your kids have a birthday coming up soon, check out the Netflix Birthday On-Demand videos featuring some of their favorite kid show characters. What are your best memories of birthday parties past? Do you run it all yourself or do you go somewhere where they take care of everything?